So, British Summer finally came, and we took two little Day Trips out. We do watch quite a lot of history documentaries, about Medieval Kings and warring Tudor families, so we have been trying to discover a little bit of that for ourselves, heading out to old market towns that were once intimately involved with the history of this country. We drove down to Tewkesbury, it’s not very easy to get to on the train. In reality we went looking for a beer garden by the river but unfortunately the only pub recommended to us was the Wetherspoons which was fenced back to the river, so absolutely no luck with that. And Tewkesbury has two rivers, the Avon and the Severn, so it’s a quaint little town where the rivers meet. 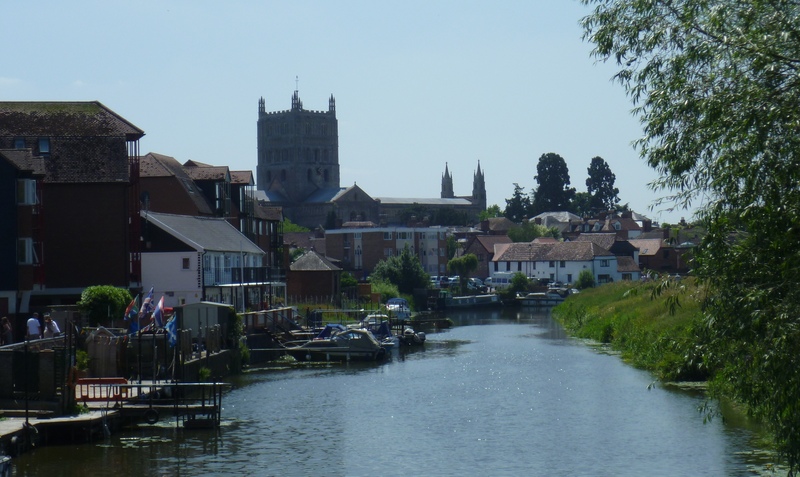 So what is lovely in Tewkesbury? Of course it’s the town, it’s small and barely has a high street, but the views are beautiful, we were lucky enough to find a tower tour run by the Sea Cadets, and climbed the tower of Tewkesbury Abbey for a vista of Gloucestershire in its finest. There are two mills that bookend the town, we started by the Abbey and walked down to the Town along the path on the other side. It is most famous for its Battle of Tewkesbury in 1471, where the House of York thrased the Lancastrians in one of the most decisive battles in the War of the Roses and ultimately putting them on the path to victory. We got up thinking we’ll go to Worcester. Then sometime during getting dressed we changed to Liverpool but then settled on Worcester. And it was definitely the best idea! Firstly less than a tenner and less than an hour on the train, and it was the Worcester Festival so we had earmarked a few things to keep us busy. There was a craft market by the River Severn, and to be honest it wasn’t as nice as you’d get in Birmingham, a lot of glasswork and knitting but it was nice enough to spend a half hour. We wandered up to the Cathedral, and saw the tomb of King John, (of Robin Hood, throne stealing while Richard III is away at the Crusades fame) and Prince Arthur, older brother of Henry VIII, who died before taking the throne. The best bit, was a free walking tour themed to the Battle of Worcester (1651), run by the Battle of Worcester Society, we learned about King Charles’ lucky escape through the back of an old Tudor house, and King John’s funeral attire. The Battle of Worcester was basically the one that decided the outcome of the Civil War, and King Chares’ escape led him to France, and in the end back to being King once Cromwell died. The most interesting and British I think, is Presidents John Adams and Thomas Jefferson’s pilgrimage to Worcester, the birthplace of modern democracy and their disappointment when nobody in Worcester seemed to care! We also had a lovely lunch at The Olive Branch, which is in a little alcove next to an old church, and looks like the perfect place for a Summer’s evening drink. Topped off with a ice cream (there was a pub with a beer garden but ice cream won) by the river it was another lovely day. 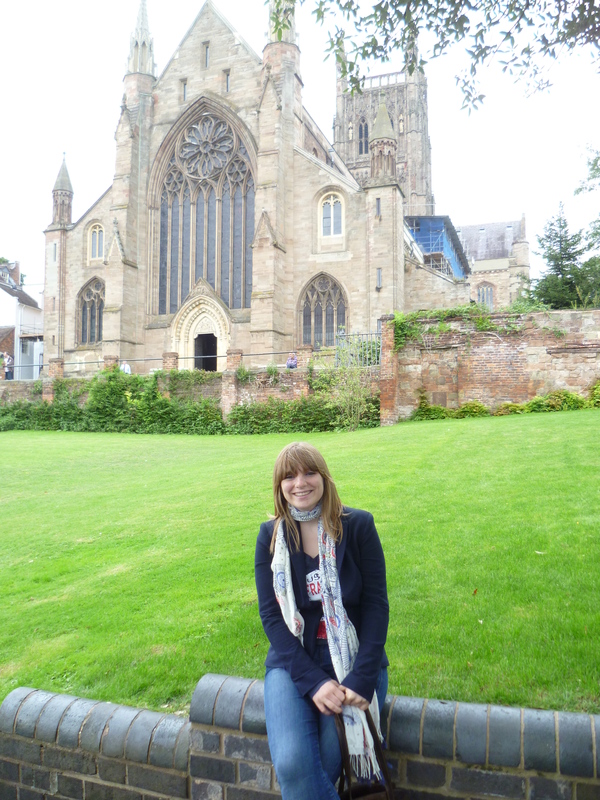 This entry was posted in Life, Love and Football and tagged battle of tewkesbury, battle of worcester, civil war, cromwell, day trip, history, ice cream, river avon, river severn, tewkesbury, travel, war of the roses, worcester, worcester festival. Bookmark the permalink.